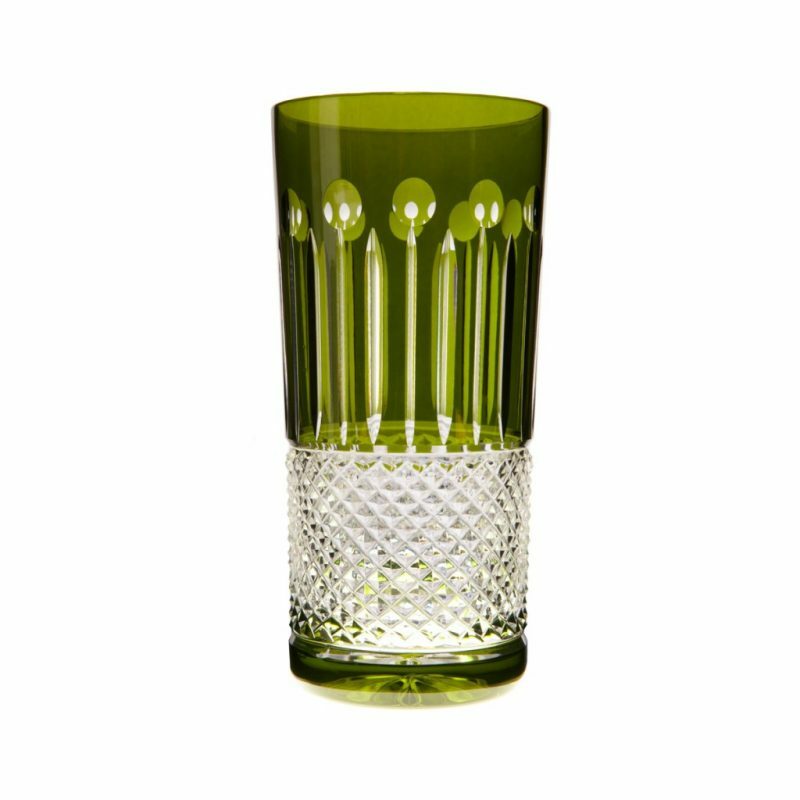 This stunning High Ball Glass Set of 6, olive green, coloured crystal glasses is a glamorous addition to any bar collection and a perfectly stylish gift for him or for her. Unfussy and beautifully simple each glass in this elegant set of crystal glasses is delicately cut with a fine lace pattern in the crystal, which adds a brilliant sparkle to the glass. 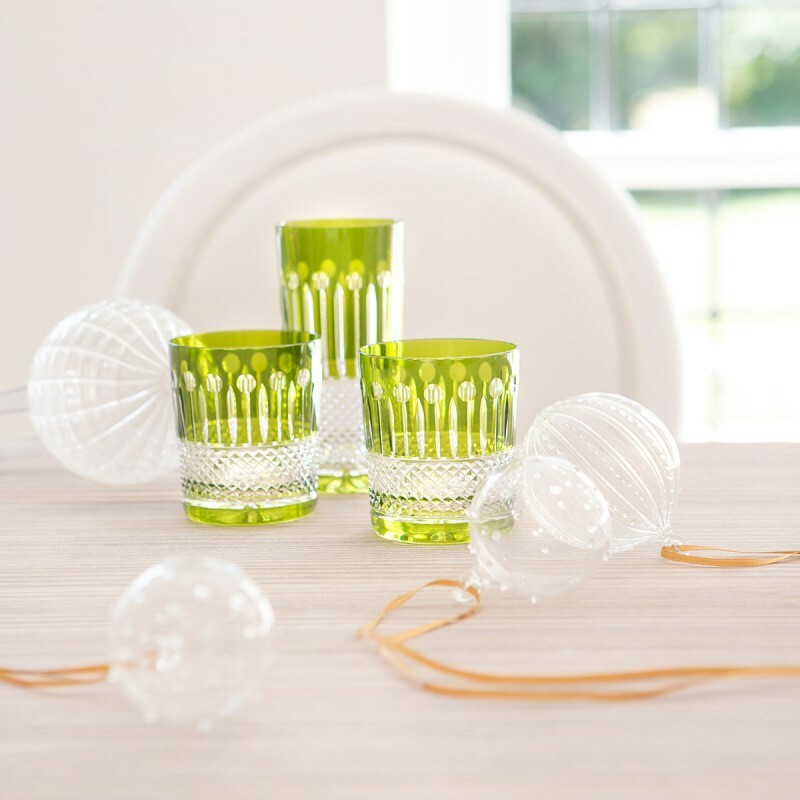 The fabulous lime coloured crystal adds a certain citrus zest to your classic gin and tonic..